Oak is currently running on a virtualized Windows Server 2012 server. It is maintained by the Microsoft Enterprise Networked Systems Administration group at Northern Arizona University's Information Technology Services department. Oak's mission is to provide individual webspace for NAU's staff and faculty. We currently offer 100 MB disk quotas and full ASP, and ASP.NET web development environments. Disk quotas can be increased on a case-by-case basis if the extra space will be used to support academic instruction or other University business. To obtain webspace on Oak you must be a current staff or faculty member at NAU and should already have an NAU-domain account. If you meet these requirements you can request webspace by contacting the ITS Solution Center at (928) 523-1511. Materials presented on these pages reflect solely the opinions of the individuals, and do not necessarily reflect those of Northern Arizona University. Note that accounts may not be used for commercial purposes; NAU enforces policies regarding the use of offensive material. Email comments or complaints to webmaster-oak@nau.edu. Oak trees can start producing acorns when they are 20 years old but can go all the way to 50 years before their first production. 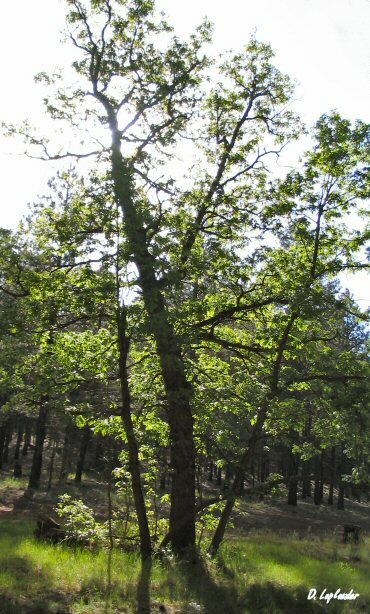 Acorn production varies from year to year and is generally proportional to the size of the canopy.